With 32 +/- Acres of Pasture and Timber Land Ready for Your Dream Home, Hunting and Equestrian Site. This 32 acre Nash County gem has everything you need to enjoy life. The property boasts a 12-acre pasture ready for food plots prep or housing your favorite equestrian friends. The property has nice rolling features perfect for a pristine home site overlooking the pasture and future pond site. The property has good road frontage and has possibilities for development for residential home sites. This Nash County property has a good Whitetail Deer population and Turkey Population along the rear cutover and standing hardwood ridge. Anyone looking for a perfect homesite to enjoy future fishing, hunting, ATV riding, horse riding, horse boarding and recreational activities related to country living should see this property. Nash County farms of this size and price are not easy to come by and will not be available long. Don't wait on this one if your looking for a place to call home. The property is within 5 miles of I95 and 4 miles from the bedroom community of Red Oak, Nc. Established in 1740, the Town of Whitakers is located in both Nash and Edgecombe Counties, near the northern most portion of both. Whitakers is situated on both sides of the Seaboard Coast Line Railroad and on US Highway 301 and is a quick five-minute drive from interstate 95 and just 30 minutes from the Rocky Mount-Wilson Airport. The town also boasts many historic landmarks, including Whitakers Baptist Church, Bellamy's Mill, Fishing Creek, and Watson Seed Farms. Whitakers has a lot to offer its residents. A public golf course, three country clubs, one racket and swim club in the area as well as being less than an hour away from Lake Gaston a haven for camping, fishing and all water sports and our own Lake Bellamy, noted for fine game fishing are further advantages to living in our small town. Whitakers has a lot of advantages for family life and community resources, such as the library, the Dell Center, and surrounding churches of all denominations. 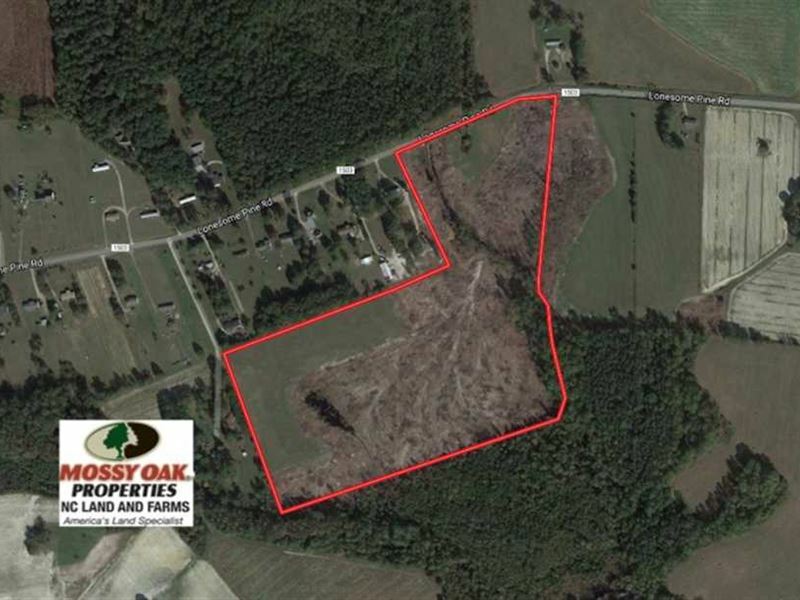 Web Link listed above For more information on this and other Farm and Timber Land For Sale in Nash County NC, contact at , by email at Email listed above, or visit our website at deepcreeklandandfarm/. com.